One of my absolute favorite places to go in SoCal is The Hollywood Bowl. You get to enjoy a show in a nearly 100 year old venue out in the open air. 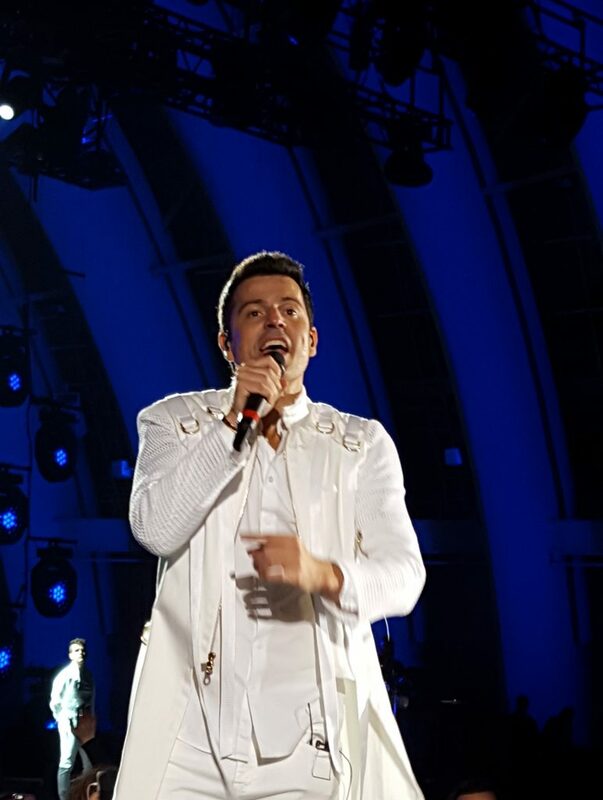 Here, I’ll be sharing a few tips on how to make the most of your trip to the Hollywood Bowl. These are some things I’ve picked up during past visits. 1) Look up your event on the Hollywood Bowl website BEFORE you go! 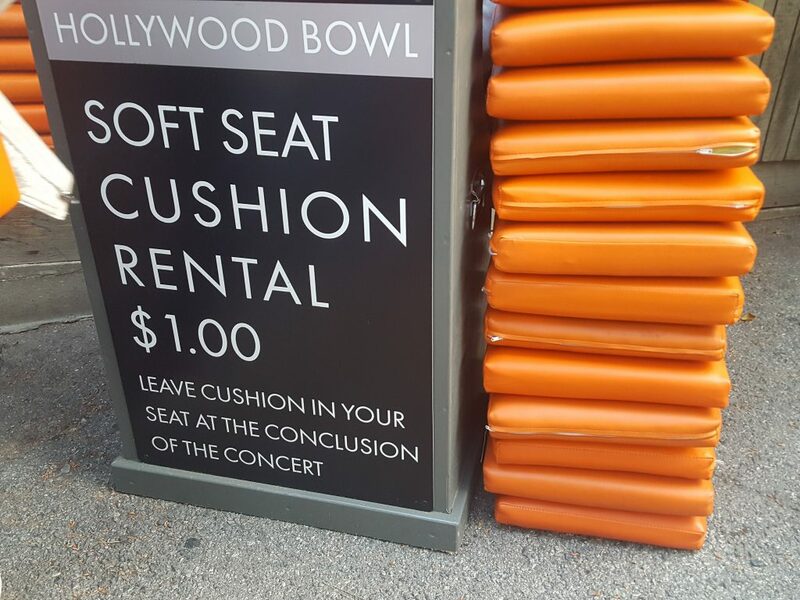 The Hollywood Bowl has some basic rules that apply to all shows. However, there are different rules for certain shows at the Bowl. For instance, a basic show allows for you to take your own food and alcohol. 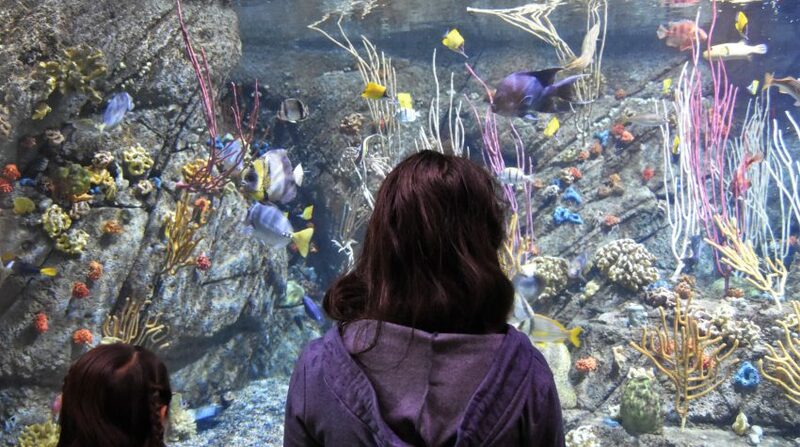 We took full advantage of this the first time we went. I got one of those cute picnic baskets with little plastic wine glasses. Cheesy, but so fun! 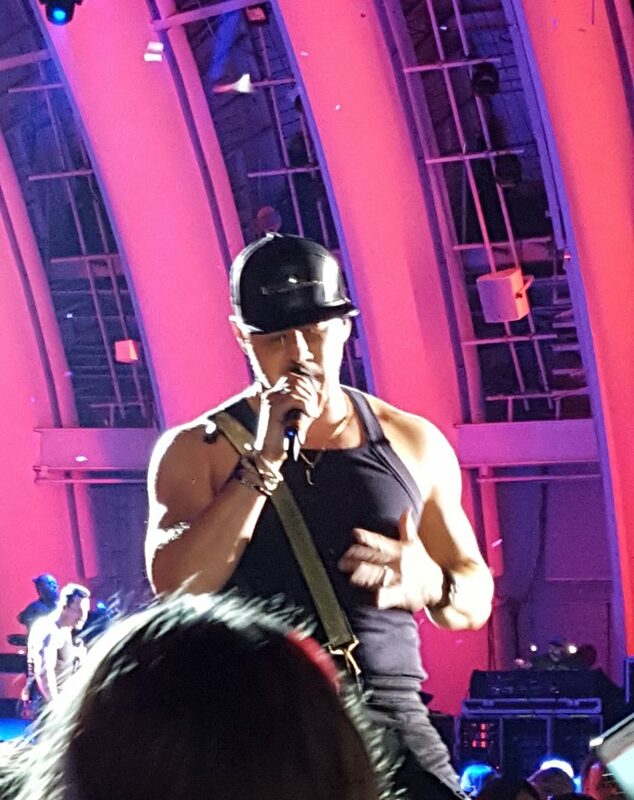 When I went to watch the New Kids on the Block (NKOTB!!!! ), it was considered a lease event. The website clearly stated that you could bring in your own food, but no alcohol is permitted. 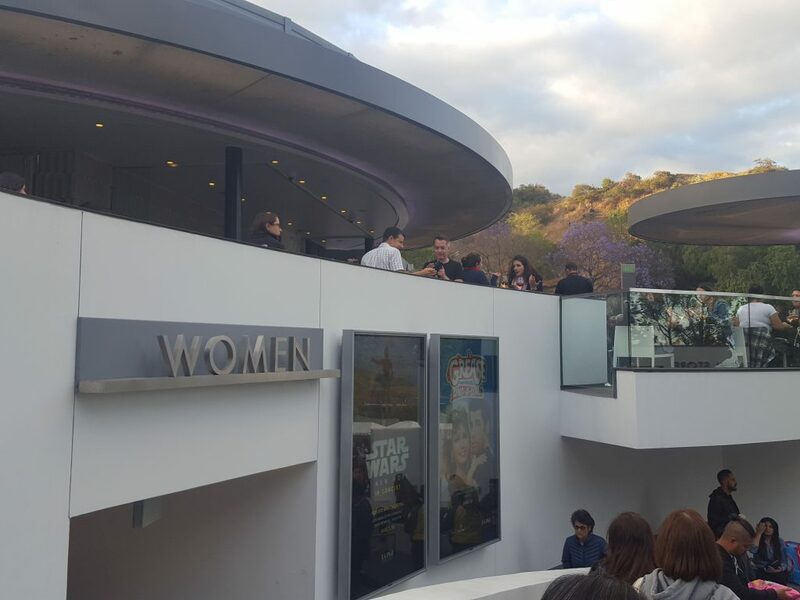 You have to buy your alcohol from the Hollywood Bowl concessions if you want to get your drink on at a leased event. We went this past weekend to watch Disney Beauty and the Beast Live In Concert experience and there were yet more new rules we had never heard of. You could not take reusable drink bottles, or aluminum cans (regardless of whether it was an alcoholic beverage or not). Some people had not read these show rules online and had to dump some food. There were actually bins next to the metal detectors where people had to trash their unopened food. Another point: Some shows allow you to take a camera that does not have a detatchable lense. This last show we attended did not allow cameras of any kind. So, I just used the phone on my camera. Your cooler and containers cannot be larger than 15″x15″. Seriously, though, you’d have to carry that around, so why would you? Your container has to fit in your designated seat area. No spilling over into your neighbors’ areas. No cameras with detachable lenses or selfie sticks. No tablets, video recording equipment, or lasers. Oh yeah, and no umbrellas. Print them out, or make sure you have a screenshot of each ticket in your phone in case your internet connection doesn’t work well once you’re at the Bowl. Also, make sure that your phone is fully charged and take a backup charger just in case. Every time I’ve gone to the bowl, it starts out with warm weather. By the end of the night, it’s cold. I recommend you take a blanket, or a sweater that you can wrap around your waist when not in use. But I don’t like having to cram with other people. But I like the comfort and control of my own car and music. STOP RIGHT THERE! 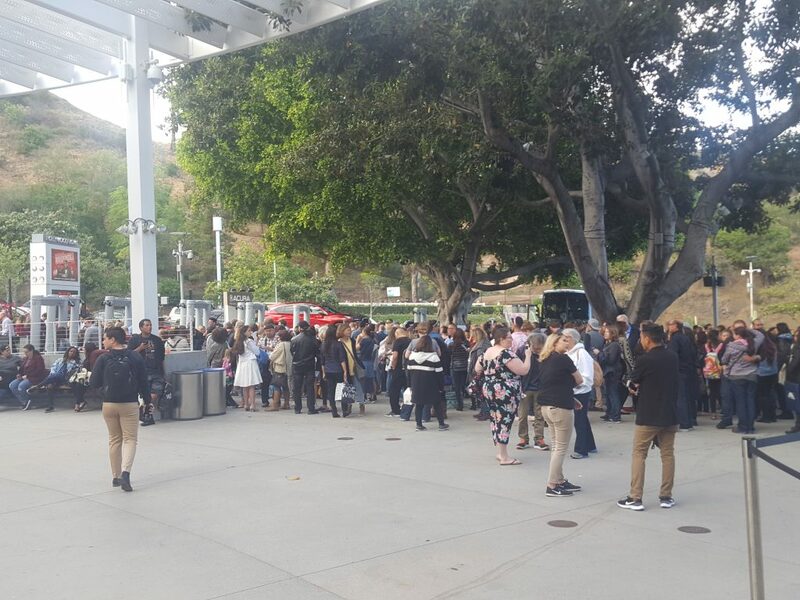 Taking the shuttle is the absolute easiest way to go to and from the Hollywood Bowl. How do I know you ask? My family went to the Bowl this weekend and took the car because we didn’t see the buses at the usual park and ride spot (turns out we were too early). The drive there and parking was fine, but we had to park tandem. Guess what that means? You have to wait until EVERYBODY in your line gets back to their car. The show ended at around 10pm. We got home at about 12pm (40 minute drive). We only got home that early because the hubby reversed our car at the first opportunity and exited the wrong way. Don’t tell the cops, ok? Did I mention that parking cost us $28? Back to the bus: You only pay $7 per person roundtrip if you purchase tickets in advance, $10 if you purchase tickets on the spot. Just be sure to arrive at the shuttle stop early to ensure that you arrive to your show on time. Yes, even if you prepaid for a ticket. My city’s shuttle in the South Bay picks up at a park with plenty of free parking. You can bring your food and drinks along on the bus, so no worries there! When you arrive at the Hollywood Bowl, be sure to pay attention to which number bus you need to take on the way back. Each city has assigned bus numbers. You don’t want to get dropped off at the wrong place! When your show is over, make sure you go straight to the bus. You only get about 30 minutes from end of show to catch the bus. Also, its “first come first serve” and once a bus fills up, you get to leave. My city has more than one bus. Hollywood Bowl metal detector line at the bottom of the hill. There are two different areas where you can walk through metal detectors. There is one half way up the hill, then another further up the hill. Make your choice depending on how busy the lines are. I believe that there are more metal detectors at the top of the hill than at the bottom, but be prepared to squish in like cattle with masses of people. Not gonna lie, it’s a little anxiety inducing. 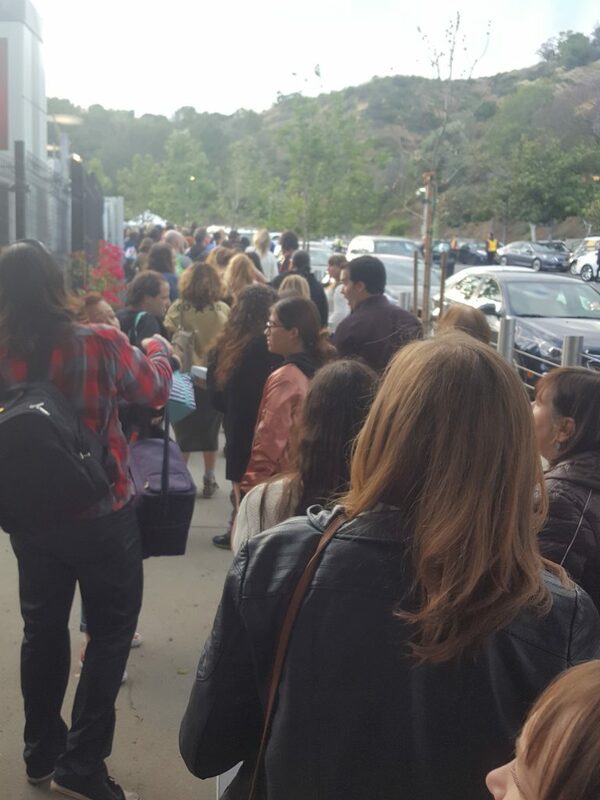 Hollywood Bowl metal detector line at the top of the hill. 6)If nature calls, go to the right place. There are some bathrooms at the bowl that have 2 stalls and huge lines. There is a main bathroom at the bowl that has a crazy amount of stalls- even in the women’s bathroom! 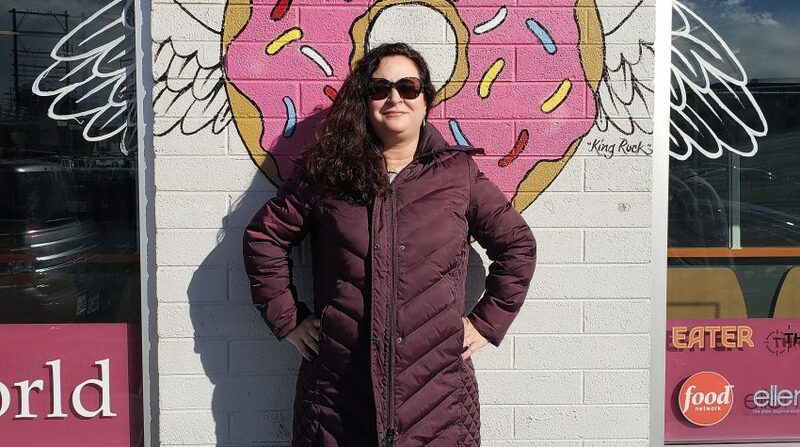 I’m embarrassed to admit that my oldest kid was so amazed that she had to take a walking tour because she’d never seen a women’s bathroom with so many stalls. This bathroom is located in the main area, right below the terrace dining. I recommend this bathroom because lines, if any, are shorter. You want to get in and out, especially if it’s during the show. It’s a madhouse during intermission, so seriously, don’t overdo it on the liquids. This is the big bathroom, in the main area. It’s only $1 to rent a cushion. The seats at The Hollywood Bowl are hard wood benches. You’ll want extra comfort if you are sitting there early (as we did recently). When the show is over, you just leave the cushions in your seat. You don’t have to worry about returning them after the show. If the thought of sitting on a used cushion grosses you out, bring your own. Should I have to type this? No. But I guess some people’s mamas didn’t teach them how to be polite. Don’t stand during the show, don’t put your shoes/feet on the chair in front of you, and don’t put your phone up in the air for 5 minutes at a time to take pictures of the show. If you do any of these things, you’re liable to have an argument with some people around you and ruin the fun. Just sit back and enjoy! 10)If you’ve been saving your pennies…get a box! If there is a group that you are absolutely dying to watch or that is on your bucket list, try to get one of the boxes toward the front. There is a little catwalk area that goes along the front of the bowl. Sometimes, the artists walk and dance in that area. How do I know? NKOTB baby!!! I always wanted to see them in concert and jumped at the chance when they came to the Hollywood Bowl. We usually just sit in the nosebleed section, but my hubby said this one was worth the treat (for me of course). It was the best experience ever because they were walking around the catwalk. We had no idea and I felt like I was a VIP. The box seats were worth the price. This was a once in a lifetime experience that I will never forget! I hope that you finds these tips helpful on your next trip to the Hollywood Bowl. If you enjoyed these tips, PLEASE SUBSCRIBE AND LIKE US ON OUR SOCIAL PAGES!